Below you can find some of our 900 alumni companies. Please note that the company information is not updated after the company has left Aalto Start-Up Center, therefore the information and links are subject to change. This is not a complete list! Here’s our 20th anniversary video from autumn 2017, featuring our alumni companies’ founders from Fondia, BoCap, Frogmind, Surgify Medical and also Aalto University Vice President Tuija Pulkkinen. 0.7 design is a design agency helping young Finnish designers and craftsmen gain new markets from outside of Finland. Pen & Hammer specialise in the design, sourcing and project management of property developments for both professional and private clients. Our customers range from building managers, to property developers and marketing companies. Agience boosts business applications with smart algorithms and coordinates long-term R&D&IP strategy to make your innovation true. Aikumo is a software company utilizing data analytics in the energy, machine building and process industries. We create new scenarios for sustainable life style by design thinking. Altonova is a coaching and training company specializing in creative approach to top performance. The approach is internationally unique – it has scientific and artistic base. Alt Finance Oy focuses on new type of working capital funding for Finnish sme’s. Our team is particularly interested in providing new alternative finance solutions through our marketplace. 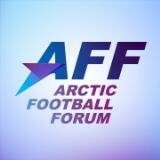 Arctic Football Forum develops data analytics tools and organizes conferences for football professional and football enthusiasts. We are the Helsinki-based architecture firm Rudanko+Kankkunen. Our company is founded in 2010 by us two young&adventurous architects, Hilla Rudanko and Anssi Kankkunen. We design buildings and urban spaces for public, non-profit and private clients in Finland and around the world. Our expertise is ecological and socially sustainable design. Aspectus provides solutions and services for global development and partnership. We help our customers on fundraising, communication and project cycle management. 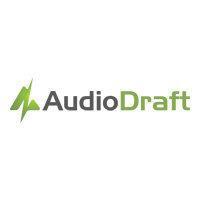 AudioDraft is a web service that brings audio sourcing available for everyone. Any company or individual can order custom made audio from a community consisting of artists and audio designers. Social Audio Sourcing is the new and innovative way of ordering audio. Bankiton! utilizes the power of crowdsourcing & co-creation to help Finnish leading financial providers and Fintech start-ups to gain sustained community involvement and collective intelligence. Benefitor Oy is a provider of integrated marketing solutions including the use of internet, email, text messages and bluetooth. Blue Berry Communications & IR Oy is a boutique communications & IR agency specialized in financial and investor communications for stock exchange listed companies. Blue Berry also implements financial communications services more and more often for non-listed companies. The value-add of a good financial communications to the company’s reputation and corporate image is priceless. Blue Berry Communications & IR provides outsourced IR Manager as a service, and a wide variety of financial communications projects from equity stories to interim reports and AGM services. Blue Berry also develops a totally new kind of service portfolio for IR and financial communications services. Ask for more details about our services! Olemme suomalainen riippumaton pääomasijoitusyhtiö. Missionamme on vauhdittaa kilpailukykyisten suomalaisten pk-yritysten kotimaista ja kansainvälistä kasvua. We bring innovative way to place and play shift TV and video, that covers needs of consumers and media houses with flexible business models. We in Caroom develop the next generation parking app. Cloudingsky is developing first class web applications with big ambitions. It’s real time, it’s location based and it’s social. CollectiveCrunch is a firm that ‘collects’ data from Internet-of-Things sensors and climate data in order to process (‘crunch’) these data for valuable insights. We see technical data in the context of climate data. Communicea brings communication closer to business and improves the efficiency of communication by processing communications activities. Comteam is a management consulting agency with IR, PR, Communications and Marketing experience. Our vision is to support customers to gain a position as forerunners in their field. We want to be a strategic partner when it comes to communications, marketing and PR. Contentum Oy offers B-to-B services relating to innovations, IPR, information analysis/mining and other business consulting. When you are in too much hurry to find out the information needed, please do not hesitate to contact us. We also help you with your innovation strategy. 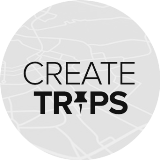 Createtrips is a travel planning service where you can plan what are you going to do on your next trip. Cresco Metrics Ltd develops enjoyable talent management tools. The first service is a personnel assessment tool that redefines recruitement. Cryon was founded in 2015 to develop the CryoFog innovation. The CryoFog, Whole-Body-Cryotherapy is a natural physical therapy using only the body’s own resources. The method is tested, safe and suitable for all healthy adults. By inhaling the -110 C oxygen-rich CryoFog, the central nervous system is activated and this improves the body’s metabolism and energy production. Dealmachine produces sales and marketing IT-services. Deli Piste is a new online food ordering platform started in Helsinki area, which focus is to satisfy companies’ demand for a quality catering service marketplace that is quickly and develop an efficient network for caterers. Companies can browse menus and prices that are suitable for their events and conveniently place the order via our website, phone app, phone calls and SMS. Currently, our service area covers Helsinki, Espoo, and Vantaa with over 1 400 000 residents. Designium Brand Group Oy develops, produces and promotes the design and fashion collections by Marita Huurinainen. The WAVE Collection is an elegant, light and comfortable summer shoe with a unique design and made of wood. The WILD Collection is an elegant and light fur accessories collection. By using wild fur it offers an ethical and responsible alternative for wearing fur. Digital Living provides a Personal Knowledge Management service to help Internet-solutions better connect with you. Double issue Oy is run by designers Marjo Kuusinen and Piia Keto. Our company consist two fields; accessory label KAKSITVÅ and design office that creates solutions for all purposes. Certification body developing new, more flexible IT-solutions for communication. e-House Oy tarjoaa kokonaisvaltaista rakennuttamiskonsultointipalvelua uuden palvelukonseptin muodossa. Easyeat Ltd. provides web-based tools for nutritional guidance and daily meal planning for professionals at health care and wellbeing sectors. A modern turn-key online service for environmental reporting and communication for hotels and other premises. The business idea of the company is to commercialize traffic optimization solutions and road slipperiness detection, both developed by VTT Technical Research Centre of Finland, and offer ICT services based on them for heavy-duty vehicles and public transport. 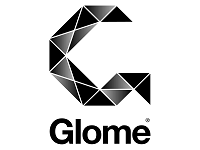 Glome is a service for individuals to take control of and benefit from their digital footprint and to personalise web’s offerings with full anonymity. Sales & strategy services for testing and developing new business models, customer segments, sales channels and value proposition. Eltekon Ltd offers expert, and consultant services in the area of Corporate Social Responsibility, CSR. We are specialized in the implementation of the international ISO 26000 Guidance on Social Responsibility standard. Evenman Oy develops mobile marketing and publishing solutions. Our first product “evenman live” is the largest mobile promotion platform for live events and venues in Finland. Our aim is to sharpen your market focus. Exaget is in the business of smartly mobilising applications and services used by consumers and businesses today and creating new ones that will be needed in the future. Exakti employs neuroscience in marketing research. We offer quantitative, benchmarkable ways to analyze consumer behavior. Black Eye brings you the gear for more advanced and unique photo-/videography on your smartphone. Fairspectrum creates a database for radio frequency management. Familings Oy helps families to sleep more. Our main product is a cot mattress that lulls the baby or toddler asleep with movement and music. We develop the best multiplayer games that can be played physically together by anyone – from casual kids to gamer grandads. Our Skill Matching technology enables people with wildly different ages and skills to equally enjoy gaming together. We focus on the tablet devices. Finbiosoft Ltd. develops and sells software solutions for design, automatic detection and reporting of molecular diagnostic tests. Flow Roads Ltd produces audiovisual and interactive, multimedia content. The company’s first project, Totuus vai Tehtävä, is a web-based multimedia concept. The main target group for the project is 17-20-year old girls. Fortune Falls is a professional consulting company specialized on China. It provides services for customer-specific needs cost-efficiently and flexibly. Freeapps Ltd is a sport and leisure-time mobile applications manufactured company. Corporate make ideas, designs and produces a useful mobile applications to users. Applications are available for free products and business logic is done together with a third party, which may include cities, municipalities, businesses and communities. Only some of the applications requested compensation. Freeapps Ltd’s aim is to produce for domestic and international market in interesting new products. FRENN is a new fashion and lifestyle brand designing and producing sustainable, semi-formal and premium class menswear that feels good, stands out and creates credibility for the new urban living. FRENN clothes are designed for the urban working man. The pieces don’t distinguish between the boardroom and the café, between the bicycle and the Cabriolet. They feel comfortable from the moment you first put them on and never lose their shape. Every article of FRENN clothing is imbued with respect for the people that made it and for the natural world. The premium materials, handiwork, and iconoclastic style have strong roots: the orange button thread has come down through the decades as a sign that this is a garment worth holding onto. Frogmind develops digital games based on their own IPs to digital marketplaces, such as to Apple’s AppStore and to Valve’s Steam. The founders have several years of experience in developing games to consoles and mobile devices. Social media solutions for mobile. Creating engagement and motivated behaviour with gamification. Gapps Oy is a finnish reseller of Google’s enterprise solutions. goMob Finland is a digital marketing company specialising in mobile marketing and development. The company consists of senior level professionals each from their own field of expertise. Go-Trade is a company trading food products and offering sales consulting services. We help organizations turn heavy data collection, analysis and publishing routines into simple and user friendly processes. Human-friendly visualisation of financial data. Innoduel on maailman helpoin työkalu ihmisten osallistamiseen. Innoduel auttaa sinua tekemään parempia päätöksiä, sillä sen avulla saat helposti vastauksen esittämääsi kysymykseen. Hakema booking button enables instant appointments on any classified website and is easier to integrate than “Facebook Comment”. HitSeed is a European accelerator focusing in hardware and mobility startups. Our team, network and tools help to incubate and accelerate the best growth opportunities into international success stories. Best way to predict the future is to invent it. 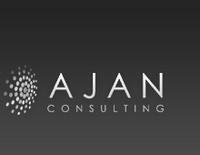 A professional service company specializing in public and private sector consulting in developing innovation environments, cities and ecosystems. 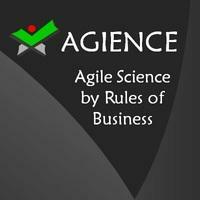 Huitale is your trusted agile and lean coach. We’re helping people and organizations to find better flow of value. service providers and consumers meet. Our platform gives consumers an easy and effective tool for searching and comparing services and service providers receives a 21st century tools for customer management. Hyvä Flow helps it’s customers by personal and web coaching to improve the quality of their life, to achieve their dreams and to develop organizational functionality in a purposeful way. A touchscreen revolution has begun. We create and develop content concepts at the leading edge of this change. All our products target specific needs for different markets. Innovamo develops innovative mobile services and solutions around NFC (Near Field Communications) technology. We investigate existing business processes and services to help determine a compelling, modern, mobile alternative. It’s not the technology, but what you can do with it that matters. Our current focus is on Healthcare industry, but we’re open to all opportunities. Get in touch with us and lets have a chat. We want to automatize our customers business processes. Integround provides the next-generation integration platform as a service. Companies are seeking all the time new ways to cut down cost and automatizing business processes is an easy way to achieve that. We provide tools and services to our customers’ so that they can reach their goals. Internly is an online recruitment portal, which is match-making companies and people in need of work. A Finnish startup company developing a unique enterprise social software that helps people solve problems beyond organizational boundaries. A Bluetooth headset for hearing aid users. Impress your customers with premium design and wood like texture of arecagoodplates. Your customers will immediately understand your ecological values, and they don’t need to worry about plates collapsing under heavy amounts of food; the plates are strong and rigid. Kaveri Good Products Oy owns brand called arecagoodplates. ArecaGoodPlates are natural and high quality disposable plates made from fallen dried leaves of Areca palm tree (Areca Catechu). We design, manufacture and sell the plates in Europe. KIDE Entertainment is a new game development company focused on bringing the mobile platform games which were made with love, not just as developers, but as gamers. Kokemukseni.fi is the customer experience monitoring and reporting service for H2H service providers. Investigate the experiences you create – anytime, anywhere! Kompozure excels at consulting cloud computing and mobile solutions and creating Windows Azure- and Windows Phone-services in a transparent and agile manner. Koordinet co-ordinates multidisciplinary collaboration projects, supports collaboration and assists in the practical project management. KUDE ®. Stop searching. The cornerstones for your wardrobe. Kwork Innovations develops extensions for the web. The extensions are embedded on the web site, but run in Kwork Cloud. This makes them simple to use with in-built quality and verified security. Lamia is a leading Finnish e-commerce solutions provider. Our trademark is customer-centric solutions strengthened by effective technologies. We bring both a strong technology and design focus, along with vast expertise in modern e-commerce business development. Legalland is a technology startup focusing on developing online legal service platform, where lawyers can reach clients, sell and deliver legal services, and grow business completely online. Our goal is to offer desirable products at an attractive price. For us, the basis for our operations is the customer. Our products are designed and produced for a specific need and we would therefore take into account customer preferences and maximize their experience of our products in every possible way. Our way to act is more dialogue than monologue. Our products offer new luxury to everyday life. Reliable scenery movement, from specification to aftersales. LNAFIN specializes in RFIC & ASIC Design, Microwave Products, and System Integration. We have ample hands-on experience on most communication circuits and their testing, especially at microwave frequencies. Just ask for an experienced solution for any PCB, EM-simulation, measurement or IC design challenge you have, we will provide! Loquiz is a platform for event professionals to easily create fun outdoor team games on tablet computers. Anywhere. LucSens is an energetic young team focused on bringing revolutionary computer vision applications to your phone, desktop and living room. Lumia is the leading Finnish company in AV-automation with over 250 automated auditoriums and conference rooms. Careful usability engineering is our key to success. Maikos Oy is a Finnish cosmetics manufacturer of innovative skincare products for the sports and health segment. Me2we is B2B consulting and project solving company that is concentrated defining and managing projects, that we are solving through crowdsourcing. Instant video connection to a doctor. Available in Apple App Store. A Customer Experience Service that focuses on the individuals behind the brands. Mezuria is a digital service that helps you to follow your customer experiences and recommendations in an easy way. We build mobile applications and mobile websites for small and medium businesses and non-profit organizations. Goodbye queueing and traditional customer surveys. Mobiserwiz brings customer flow management to mobile age. Momeo Oy is developing and licensing a browser based player and related tool set for efficiently creating and conveying information of products and services. Moose’s Billiard Shoes Oy Ltd. Footwear designed for the game of billiards. Playability, comfort and elegance made out of nordic elk leather. 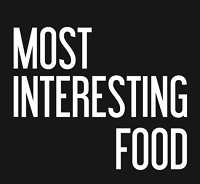 MIF makes cooking fun and simple. We provide our customers with all the necessary ingredients to make delicious food from all over the world in exactly the right portions. Newolo VirtualCoach. Markkinoiden johtava itsensäkehittämispalvelu, joka mahdollistaa henkilökohtaisen muutoksen ja auttaa vähentämään työperäistä stressiä kognitiivisten käyttäytymismetodien avulla. Palvelemme yksityissektorin ja julkishallinnon organisaatioita. Popularisoimme kotiin ostettavien palveluiden kulttuuria Suomessa, helpotamme tarjonnan vertailua ja autamme uuden markkinan kehittymistä. Nomen Nescio is Helsinki based menswear label which is established in 2012. Notava develops and sells a uAxes® solution enabling cellular operators to offload mobile data to own and/or leased WiFi networks in a managed way. Omakirja Oy (My Own Book Ltd.) tarjoaa helpon ja hauskan verkkopalvelun lahjanhankintaan tai persoonallisten historiikkien kokoamiseen. PerfectRoute is the first navigation service for offroad users! Pickdelso develops logistics solutions for trade enterprises and aims to affect picking and delivery of products so that the productivity and customer satisfaction are increased. Portus Oy on suomalainen startup- yritys, joka erikoistuu luomaan ja kehittämään edistyksellisiä, innovatiivisia tuotteita ja palveluita, jotka tukevat ja parantavat business matkustamisen turvallisuutta ja mukavuutta. Luotettavuus, korkealaatuiset ja innovatiiviset tuotteet sekä pitkäkestoinen yhteistyö kumppaneidemme kanssa luovat perustan asiakkaidemme arvostukselle ja luottamukselle. PROimpact Oy kehittää innovatiivista verkkopalvelua Strategisen työhyvinvoinnin tehostamiseksi yrityksissä. Project Papillon is a fashion label which has evolved through an unorthodox collaboration with a correctional institution. Proximi.io is a technology-agnostic proximity platform for location-aware mobile and web applications. The platform may be used to target and automatize different action flows that will be triggered when an application user enters a specific physical location. These action flows may contain push messages, multimedia advertisement and other content delivered to the user’s mobile device. Additionally, Proximi.io may be connected to any external interface, such as a CRM or campaign management system – or any IoT device, such as digital signage. Furthermore, Proximi.io collects detailed analytics about how users are moving inside your premises and outside of them. PulseOn Oy has developed a new generation heart rate measurement device. This device could be use during sport activity and continuos personal wellness measuring purposes. There are connected new measurement technology and finnish knowledge of sport science in this device. Reader Stage is a social publishing platform company. We enable writers and authors to publish and sell their writing and books, with an efficient e-publishing toolkit and very good earnings model. Urakkamaailma.fi is Finland’s largest online marketplace for renovation projects. With the help of Urakkamaailma.fi consumers and housing companies can easily connect with the best contractors of their area, free of charge. Replendo helps retailers and manufacturers take the leap from staring into a crystal ball to information-based planning and operations. With our professional services for forecasting and replenishment software our customers can focus on their core competencies. Replendo offers both continuous replenishment and super user services for companies using forecasting and replenishment software as well as analysis projects and training. Richen Ltd is a digital specialist company. Our main focus is the enrichment of digital publications and commercial gamification products. 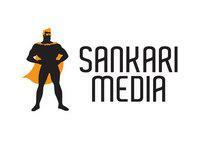 Sankarimedia Oy provides a nightlife themed social media platform for its users and advertisers. Sanna Naapuri is a Luxury shirt brand based in Helsinki, which offers a range of printed silk shirts in a variety of prints, cuts and silk fabrics. oheistuotteista koostuva tuoteperhe. Asiakkaitamme ovat matkailun ja hyvinvoinnin keskukset Suomessa ja ulkomailla. Behavior based news&article aggregator, news reading analytics for journalists and companies. Your partner in commercializing new products and catalyzing business growth. User understanding + Design + Manufacturing technologies + Marketing. Scrooge is probably the best app for tracking costs and settling debts with friends. 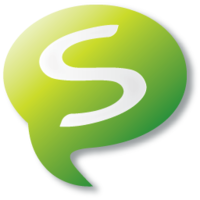 Sfonge.com is a virtual community for smartphone professionals for knowledge, consultancy, training and business purposes. Welcome to join our community! Shirute Ltd is a creative, competent and enthusiastic customer experience agency delivering business excellence to systematically plan, create, manage and measure engaging customer experiences in all customer interaction channels. Our strongest competencies are customer experience research, customer experience strategy planning and customer experience design. Our Customer Experience Path(R) offering can be applied to developing cross-channel customer experiences across different industries. We service clients who operate both domestically and internationally, in hospitality & travel, media, retail, telecom, and banking & insurances. SimAnalytics Oy provides simulation-modelling based solutions that support decision-making. Our products answer primarily to problems in supply chain and logistics in industrial enterprises. Smarp Oy provides various social media related services to businesses. Smarp’s main product is the Smarp Social Media Academy, which is a cloud based learning center through which Smarp´s clients can efficiently train their employees to become safe and efficient social media users, which is beneficial for both the client company and their employees as individuals. This way Smarp’s clients can also better leverage their employees’ networks in social media for sales, marketing, and recruitment. Web-based service for easy and understandable social media reports and statistics. We give you reports in layman’s terms. Social Ark is developing a web service called Nextdays. It is an easy way to share plans with your friends and discover what is happening around you. Our mission is to encourage you and your family to take responsibility for your health and wellbeing. We do that by providing best-in-class online-service to organize and manage your and your family health and wellbeing information in one place and access it easily at your fingertips. Sopima revolutionizes the way companies create, negotiate, and control their contracts by taking the contract management process online. Tinder for shoes! SoSho is a mobile app that helps you find the perfect shoes. Ask your inner circle should you buy them (or rather not) privately. Cloud-based analytics tools for enhancing the performance and usage of spatial web services. 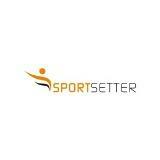 SportSetter helps people discover great sports, health and wellness services, and helps these services meet customers on the lookout for something new. Stramos provides high-tech and creative product display solutions. Take product displays to new lights with unique blend of physical creativity and intriguing smart contents. Stay competitive in raising customers attention, because special products need special treatment. Stylewhile let’s you wear fashion online. With our iPad optimized service you can quickly try on clothes on top of your chosen models and create your own, unique style. Success Shopping Finland Oy is delivering and connecting Europe and other markets to Africa. Our core focus is on B2B sales. We have products from various categories: champagne, sparkling wine, leather bags, tablets and mobile phones. Suomen Verkko-opettajat (Web Teachers Finland Ltd) offers private remedial instructional and additional tutoring via web-based solutions. We serve pupils and students in grade school and high school. Language training is offered also for adults. We strive to offer both our teachers and students the best tools and modern methods for enjoyable and efficient learning, irrespective of the physical location. In many fields of surgery and dentistry, bone has to be cut or removed without damaging the proximal soft structures. Surgify develops new solutions to protect these structures and to prevent associated complications. Swappler is a mobile application that has been created to bring fashion designers, bloggers and customers together in a new way. A fashion designer can then release clothing that can be purchased allowing for the designer to get a crowd sourced feedback about diﬀerent pieces and design concepts – plus they are in a position to be able to sell pieces and make money straight away. For the public (buyers) they get to buy unique and fresh clothing and in many cases can choose to buy LOCALLY and support their favourite designer. Swappler aims to bring fashion, choice and opinion into the homes of people around the world whilst at the same time helping new fashion designers launch their careers, learn and improve so they can become new success stories. Synble Oy is a Finnish startup that creates mobile and web services and tools for developers. Synoste Ltd develops novel patient friendly medical devices for treatment of skeletal deformations. Time4 Systems produces innovative, cost efficient time synchronization solutions. Our particular focus is providing time for mobile networks that use advanced 4G technologies. Tribe Studios creates Stagecraft – a service for games that are played in one evening. Play together with friends to create unique stories. on the principles of openness to different ways of working, “fair-trade” production methods, and sheer love of films. A Finnish forerunner in digital comics and games. Tunnel Ground Subterranean Dawn was released October 2012. The comic is available on the iBookStore, the game on the AppStore. Two Men and a Dog develops mobile games to the casual audience. Uniqul does face recognition payments for brick and mortar retailers. We make payments fast, secure and convenient. Designing interior improving and timeproof hifi speakers dressed in Speakerwear. Long standing conflict between great sound and looks is over. The company goal is to significantly improve how software companies are able to fulfill their customers’ needs. The biggest IT risk is to fail to fulfill the actual needs of the software client due to difficulties in agreeing and keeping agreements on the features of the software product. We are providing a novel automation solution that is more cost efficient than previous attempts in managing this risk. Valoma’s mission is to create meaningful life to everyone in Finland. Our coaching projects related to leadership and well-being in organizations offer tools to a genuine self-awareness, presence and creating positive interaction skills. We believe that a person who knows oneself can lead herself and others better. Valota Ltd. is a fast growing startup company, part of Aalto University incubator center in Helsinki, Finland. We specialize in integrating Intelligent Visual Communication Services tightly with our customers’ key business processes and corporate culture. Our mission is to drive customer growth, innovation and productivity while optimizing operational efficiency. We do this by combining market leading Visual Communication services with our Valota 360™ Services. Valota 360™ is a pragmatic approach to transform the way people connect, innovate and collaborate internally and externally, leading to maximized business value impact of the Intelligent Visual Communication services. Equity Crowdfunding for the Growth Companies. Venuu.fi – the Airbnb of event spaces. There are two big problems in this world. Number #1: Finding the best event venues is hard as hell. It takes hours and hours of googling, calling, emailing and visiting different places – only to land in the same boring place you were at last time. Number #2: Venue owners, big and small, lack effective sales and marketing channels to find customers. The solution to these problems is called Venuu. We provide an “Airbnb-kind-of” web service that makes it easy for these two parties to find each other. Good-quality pictures, all relevant information, a powerful search, customer reviews..it’s all there. Venuu is free for the users – we charge a yearly subscription fee from the venues. Verco Ltd. is privately held Finnish professional services provider that develops value-adding services and solutions for Sopima and Efecte products. Visionbay Solutions Oy provides a brand new way for organizations to utilize data and gain competitive advantage. Sumit Core Business Management solution is a powerful cloud-based system with a user-friendly interface. It combines all business intelligence tools into a seamless package helping organizations increase their efficiency, transparency and profitability. Warrantify works in the field of e-commerce providing users with the most reliable storage solution for all their warranties and receipts. Wikistudia produces learning materials for primary school use. Student, teacher or caregiver can use the content the way they feel is the best. Our main spheres of activity are web-analytics, web-design and web-development. Zimios is a company specialised in IT support Services providing on-site and remote system troubleshooting and support, disaster recovery and consultancy. We cover every aspect of IT infrastructure support, from installations to complete maintenance services on Linux and Windows systems. Zoined Oy kehittää kaupanalan yrityksille suunnattua tiedolla johtamisen palvelua, jossa business intelligence –raportointi, -analytiikka ja sosiaaliset yhteistyöpalvelut yhdistyvät valmiina pilviportaaliratkaisuna. Palvelu skaalautuu ja monistuu helposti eri yrityksille ja eri kokoluokkiin, mutta pääasiallinen kohderyhmä on pk-yritykset, joille tarjolla olevat business intelligence –ratkaisut ovat liian kalliita ja monimutkaisia ottaa käyttöön. Zonga is a finnish service innovation offering mobile broadband rental service to travelers. Zonga Mobile Wi-Fi – Rent a Mobile Broadband.